CRANKCASES AND ENGINE COVERS These all-new die-cast engine cases feature an 4mm higher clutch shaft and a 19.5mm higher crankshaft, resulting in better mass centralization and quicker handling. In addition, it allows the implementation of a counter balance shaft. So your ride will be as relaxed as it is rapid. Plus, your new favorite engine will keep looking as fresh as the day you bought it with redesigned engine covers featuring a smart surface structure in order to reduce the wear caused by the rider’s boots. TRANSMISSION A robust 5-speed transmission, its gear ratios perfectly in sync with the 250’s power band. An advanced ´No Dirt´ gear shift lever design prevents mud and sand from jamming the joint of the lever and guarantees trouble-free shifting. CARBURETOR The KTM 250 SX is fitted with a MIKUNI TMX carburetor. This 38mm flat slide carb lives to provide smooth and controllable power all the way up to the rev limitation. With a new intake manifold the carburetor is turned 7° in order to reduce the overflow of fuel. And it’s less sensitive to different altitudes and temperatures, so you can pin it wherever, whenever. IGNITION Its 72mm stroke is the same, the rest is brand new. 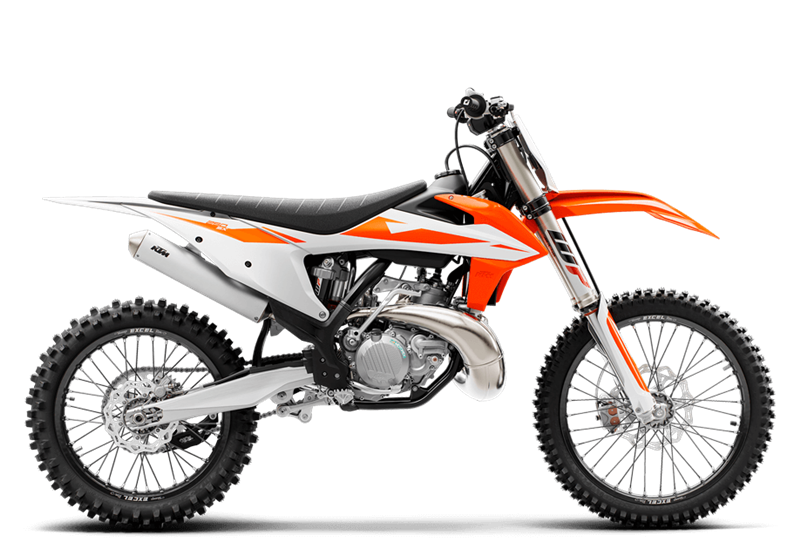 The 250 SX’s crank has been rebalanced, revamped and set-up with a counter balance shaft to kill vibrations, not your vibe.